After container ships carrying black-market nuclear bombs are detonated in American port cities, millions are killed and the country is thrown into panic. In Greenwood, Nebraska, Paul Edwards learns about the devastating terrorist attacks on the news. As the power grid goes down, his fear is magnified by the knowledge that his wife and daughter are a thousand miles away in Atlanta. 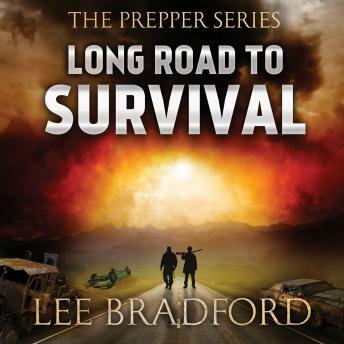 When his prepper father-in-law, Buck, insists on being part of the rescue, things go from bad to worse. Paul and Buck have hated each other for years. Now, with deadly radiation sweeping in from the coast and the rule of law crumbling around them, the two men must put aside their long-standing feud in a desperate race to bring their family to safety-that is, if they don't kill each other first.